Donating a car to a charitable organization can contribute to the economic well-being of the community. As an added bonus, your good deed might make you eligible for a tax deduction. If you want to get the maximum allowable deduction, however, you need to follow the rules. There was a time when donating a used vehicle to a charity was a piece of cake. All you had to do was call the charity, have them pick up the vehicle and get a receipt for your donation. 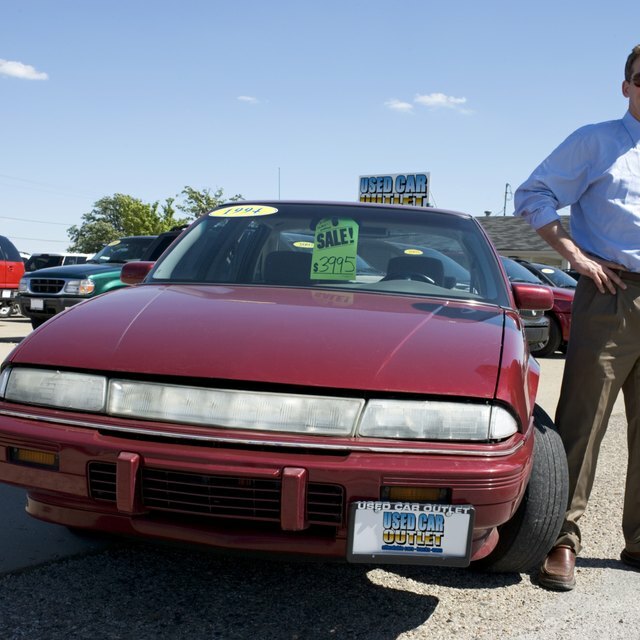 If you wanted to take a tax deduction, it was simple enough to look up the car's fair market value -- an estimate of the price a willing buyer can purchase property from a willing seller when neither is under any compulsion to buy or sell -- and include it in the itemized deductions section of your federal tax form. Because some unscrupulous taxpayers were writing off more than their vehicles were worth under the old system, lawmakers tightened the rules. Only donations made to qualified charitable organizations qualify for a deduction. The Internal Revenue Service maintains an up-to-date record of qualifying charities. IRS Publication 78 provides a list of such organizations. If you want to learn more about a charity before donating your car, you can contact the IRS Customer Account Services division for Tax Exempt and Government Entities. Just as selling a car to a private buyer, the charity is responsible for all paperwork involved in transferring ownership once you sign over the vehicle's title. While you may assist the charity in obtaining the new title, license plates and making sure the vehicle is roadworthy, it is ultimately their responsibility. It is important to note that the amount eligible for a tax deduction is no longer the fair market value of the vehicle but the value of the vehicle when the charity sells it. After it sells the vehicle, the charity will provide you with Form 1098-C which shows the amount of the sale and the maximum deduction you can take. The precise tax break can vary if extenuating circumstances are present. The new law has an "intervening use" exception. That is, if the charity decides to use the vehicle in its day-to-day operations before selling it, you can still claim the fair market value provided you have documentation to that effect. Additionally, even if the charity runs it into the ground, you can still claim a fair market value deduction. Should I Donate or Sell My Car? If you donate a car that has a fair market value of at least $500, and the charity decides to dump it for a price significantly below market value, or if it gives the vehicle away to a needy person, you can still deduct the vehicle's "blue book" value. The IRS says this larger deduction allowance is allowed as long as it's done to further the charity's mission of helping a disadvantaged person. If the deduction you are claiming for a donated car is greater than $500, you must complete Section A of Form 8283. If the deduction you are claiming is greater than $5,000, you must get a written appraisal of your car from a qualified appraiser no more than 60 days before making the donation. Of course, the general tax laws regarding all charitable gifts still apply, and make sure the charity is a reputable, tax-qualified organization. Edmunds.com: Does It Make Financial Sense To Donate a Car to a Charity?